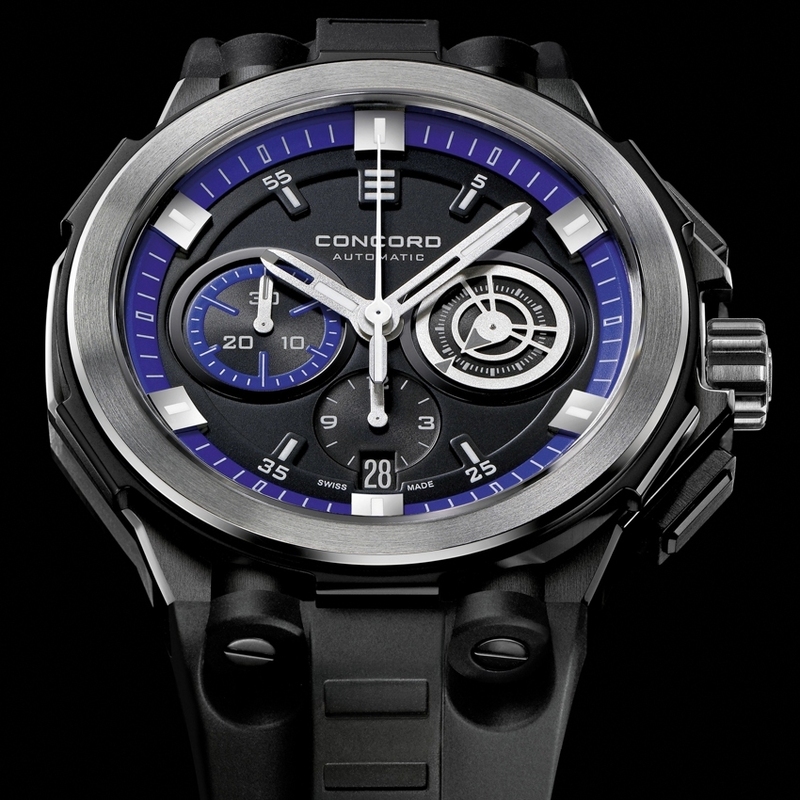 Concord reiterates its attraction for powerful industrial design. While the C2 chronograph makes no secret of its affiliation to the brand, its sleeker line breaks with the C1's design codes. The new techno blue and striking white accents go against the grain of the usual played-down construction to inject volume and a fresh contemporary note. The almost tone-on-tone, multi-level dial ensures perfect legibility. The black or white rubber strap smoothly integrates thanks to new horizontal tubular attachments that are literally embedded in the case. 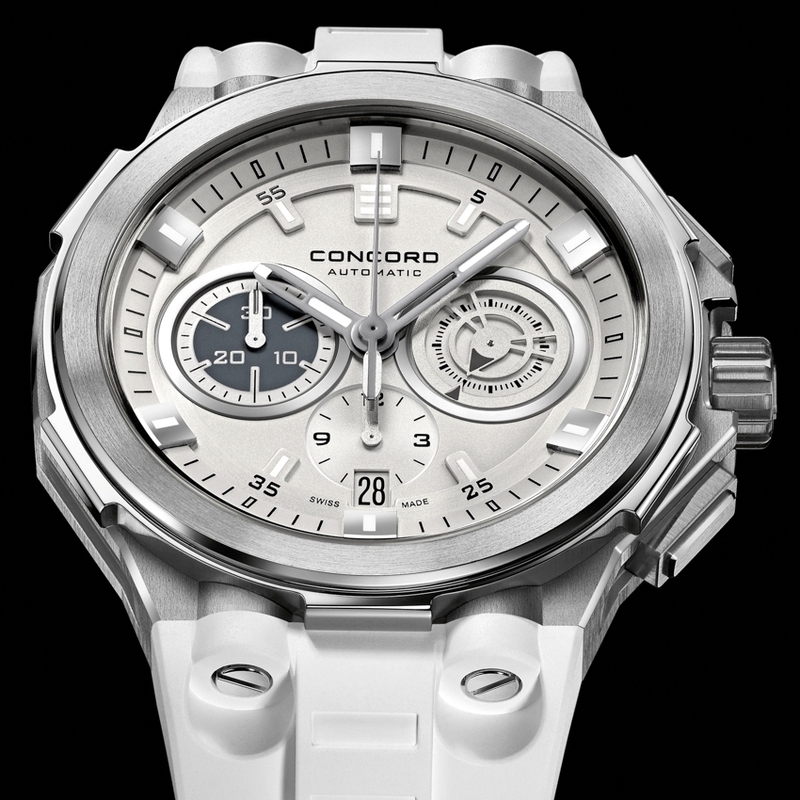 The powerful, contemporary aesthetic of the C2 clearly bears the hallmark of a Concord watch.